"It's not what you know... It's what you're willing to do." or how many title belts and trophies one has won? Does this make us any better or does it only mark a path along our life's journey? "Be so strong that nothing can disturb your peace of mind. Talk health, happiness, and prosperity to every person you meet. Think only the best, be as enthusiastic about the success of others as you are about your own. Be too big for worry and too noble for anger." International Fight Sports CEO and President and Master Sensei Steve Fossum use to run one of the largest martial arts schools in the Nation. It was 3 levels and over 17,000 square feet in size with over 400 students. However, the growth of organizations such as IKF (International Kickboxing Federation) as well as eventually the ISCF (International Sport Combat Federation) forced him to make a decision as to his time and efforts. Created in August of 1992, the IKF experienced its main growth between 1997 and 1999 after the website, www.IKFKickboxing.com was created. Because of this growth, Mr. Fossum had an intense travel schedule and was on the road a lot, traveling to IKF events around the world. From this growth, Mr. Fossum was forced to make a decision as to where his time, energy and efforts would best be utilized best. Lucky for all of us in the IKF he choose the path of the IKF. However, his choice was not because he didn't like teaching martial arts. Instead it was due to 2 basic issues. 1: The loss of desire to compete competitively with what many of us know as "The Black Belt Factory Schools" or McDojos. When he first opened his school in Newcastle it was his 12th martial arts school. His competition was with 4 good schools in a 10 mile radius. By the time he closed his commercial karate school 8 years later in 1998, 11 schools had opened up within that 10 mile radius of his offering free uniforms, quick belt promotions, easy black belts and many more marketing incentives for new students to sign-up. If he wanted to compete with them he had to face the facts. Offer quicker belt promotions, make the requirements much easier and make black belt a lot easier. It was a move he didn't want to make. Faced with this reality he was also juggling his time with his karate school and the growth of the IKF. With these two issues at hand, in December of 1998 he choose to close his commercially operated karate school. In doing so, he kept a small handfull of students to train privately. However, his main focus was no on the growth of the IKF. After several changes around the facility, he reopened in June of 1999 as a Private Club. The main gym floor is over 9,000 square feet in size and the upstairs offices are approximately 3,000 sq ft.. The facility would be the new home for the IKF as well as his private Martial Arts school and Ringside Gym, (www.ringsidegym.com) operated by former IKF Amateur Champion - Greg Kirkpatrick teaching both Kickboxing & Boxing. Eventually Mr. Fossum's top ranking Martial Arts Student, Conrad Woodall opened his own commercial school, Woodall's Self Defense & Fitness using the 4,000 square feet that was utilized for the Private Karate school. Later Woodall would expand to open his own location a few miles down the road. Also in the facility is a chiropractor office and band rehearsal studio. In 1999, Fossum brought on the International Sport Combat Federation (ISCF) for his IKF Kickboxing Promoters who were looking for neutral regulation of what was then called No Hold Barred Fighting, later known as Mixed Martial Arts or MMA. The ISCF was the first non promoting, regulatory - sanctioning body for Mixed Martial Arts the world. In the early stages of the ISCF Fossum worked with ISCF World Advisor Mike Carlson in fine tuning the ISCF. 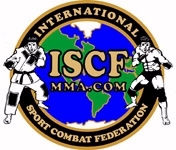 Like the growth of the IKF, today the ISCF is the largest regulatory / sanctioning body for mixed martial arts in the world. The ISCF has sanctioned events and or ISCF Title bouts throughout the USA is states such as Georgia, Tennessee, Missouri, Nevada, Idaho, Louisiana, Virginia, Washington DC, Oklahoma, New Jersey, Wyoming, South Dakota, Montana, Nebraska, Minnesota, Wisconsin, Iowa, Illinois, Indiana, Alabama, Arkansas, North Dakota, Michigan, Massachusetts, Kansas, Colorado, Arizona, New Mexico, Texas, Florida, Ohio, Connecticut, South Carolina, North Carolina, Pennsylvania, and California. The ISCF has also sanctioned events in Canada, South Africa, Mexico, England, Scotland, Australia, India, Iran and even an armed forces event in Iraq in 2009. In the spring of 2008 Fossum officially formed International Fight Sports. (IFS - www.IFightSports.com ) IFS became the chief parent company that oversees all of his Fight Sport organizations & Companies. At this time, Boxing was a fight sport not included under the IFS umbrella. So in March of 2010 Fossum created the IAB - www.IABBoxing.com which was actually two different Boxing organizations. International Amateur Boxing for Amateur Boxing and the International Association of Boxing for Professional Boxing. All 3 regulatory / sanctioning bodies, IKF, ISCF & IAB were now under the worldwide umbrella of the International Fight Sports organization. 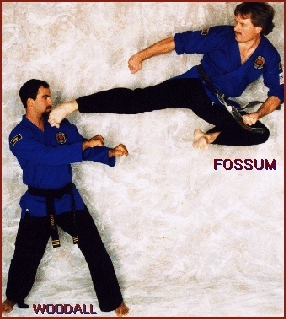 Mr. Fossum started his martial arts training in 1976 in Tae Kwon Do. He later studied Shotokan, an American freestyle known as System 5 Combat Karate and a military system known as STIHC (Pronounced Sti-Hick, Special Training In Hand to Hand Combat.) Other styles he has trained in include Kenpo, JuJitsu and Aikido. Today he holds ranks in several martial art styles including Black Belt ranks in 4 different styles of martial arts. He has also won numerous titles in karate point fighting, full contact kickboxing and hand to hand combat competition. He's been operating a martial arts school since 1982. First started formal karate training - American Tae Kwon Do. Went on to achieve a 2nd degree Black Belt in this style. Achieved 1st of 2 Degrees of Black Belt in Tae Kwon Do. Started training in System 5 Combat Karate. Begin training in Full Contact Kickboxing. Achieved Shodan in Shotokan Karate. Achieved 1st Black Belt in System 5 Combat Karate. 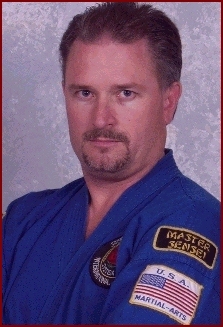 Went on to achieve *Masters Black Belt Rank (9th Degree) in this style and continues to teach this style today. (*) In System 5 Combat Karate, a Masters Rank is very different than in "Traditional Karate". System 5 Combat Karate is NOT a followed path of traditional karate with traditional aspects such as Katas and Forms. 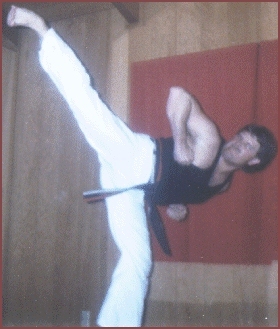 Although many of the movements and techniques are exact movements as one would learn in traditional karate (side kick, pivot punch etc.) it is more like attaining a certification in a specialized combat course. This is mainly due to the testing and attaining the material of the system which is tested by a hands on practical application method that must be proven in active combat drills as opposed to standing movement of single techniques. Better put, "It must be experienced in order to be known." For words alone, as many things, cannot describe it. Achieved civilian certification for Drill Instructor for STIHC. Between 1977 and 1985, Sensei Steve Fossum along with 11 other individuals competed in a league that was not sanctioned or licensed by any state athletic commission. The matches they participated in were held on military bases. Although he was not in the military himself, he was able to compete in many of the military competitions due to the fact that he was a training assistant to his martial arts instructor during this time who was a special forces military instructor. Many of the matches were held before, during or after training of special tactics groups. He and all other team members agreed not to use their competition achievements or training for financial gain or prestige for 5 years after their last competition. The team was known as the "HEADHUNTERS". Opened first of what would be 11 karate schools. Auburn CA. USA. Designed "ROLLING TIGERS". Self Defense system for the wheelchair bound. Formed an award winning karate demonstration team known as "THE FALL GUYS". Developed CMT Certification training for Military, Law Enforcement & Security: Control Movements & Takedowns. Begin teaching STIHC solo to the USMC with USMC Staff Sgt. Mike Woods. Hosted Cable TV show-"SURVIVAL SELF DEFENSE". Begin working with the Placer County Child Assault Prevention Program. 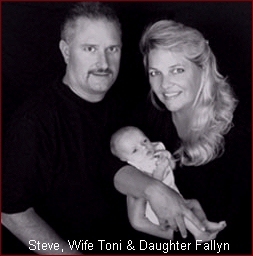 Instructing practical skills self defense at schools throughout California and Nevada. Designed "Motivation Corporation" A motivational company giving seminars Nationwide on self esteem, self confidence, motivation etc. Tour Title: "Victory By Knockout!" Knockout the negatives in your life and focus on the positives. Created an award winning, one of a kind, Woman's Self Defense Program: "Women Making A Stand!" Instructed it to grade schools, high schools, colleges, business, groups and organizations around the USA. Featured on all major TV Networks. Consolidated 3 martial arts schools into the Largest training center in Northern California. Newcastle, Over 10,000 sq. ft. in size. Expanded new training center to over 17,500 sq. ft. Said to be the largest on the West Coast and one of the largest in the Nation: by Black Belt and Inside Kung Fu magazines. Became a licensed promoter and matchmaker of kickboxing events in California through the State of California Athletic Commission. Co-Founded the IKF - International Kickboxing Federation with Dan Stell. An amateur and professional kickboxing sanctioning body organizing and sanctioning kickboxing worldwide. Appointed to the CA State Athletic Commissions "Martial Arts Advisory Board". Wrote 2 Self Defense Books: 10 Magical Movement Points & 10 Best Weapons of the Body. Wrote, Produced, Directed and hosted TV Program, "The World Of Martial Arts" which ran a successful 14 episodes. Dan Stell resigns his position with the IKF - International Kickboxing Federation putting Fossum in charge of all operations. 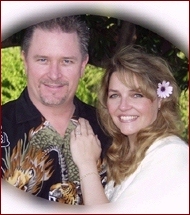 Created IKF Website with Yancey Gillies. As one of the first websites for a Kickboxing & Muay Thai Sanctioning body, this was the beginning of making the IKF the Largest and Fastest growing Kickboxing & Muay Thai Sanctioning body in the world. Opened new 11,000 square foot facility for Ringside Gym, Foothill Self Defense, and of course, the world offices of the IKF and later, the ISCF. Co-Founded the FIRST EVER Amateur Kickboxing & Muay Thai Tournament in the United States. 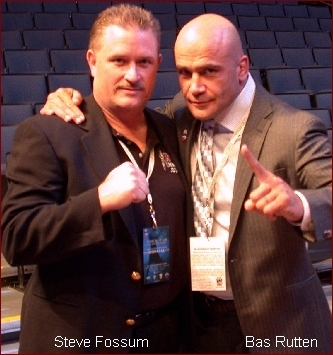 Now yearly event, Fossum founded the IKF USA National Amateur Kickboxing Tournament with Joe Taylor of Ringside Inc. It quickly became the largest amateur Kickboxing & Muay Thai tournament in North America. First ever MMA Sanctioning Body. The name "International Sport Combat Federation" use to be an "MMA Promotional company". That is, until Fossum took it over and became World President. Today the International Sport Combat Federation - ISCF is the Largest Pro and Amateur MMA Sanctioning body in the world sanctioning MMA worldwide. Created the IKF Community Foundation. July, Inducted into the Hawaii Martial Arts International Society Hall of Fame. July, Awarded the Title of Professor and the Degree of Ninth by the Executive Board and Constituents of the Hawaii Martial Arts International Society. 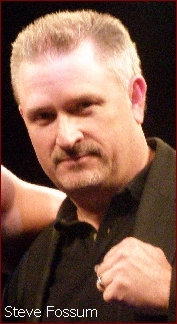 August, Created the IKF Kickboxing TV Program. Expanded the yearly IKF USA National Amateur Kickboxing tournament to a North American format. It continues to be the largest amateur Kickboxing & Muay Thai tournament in North America hosting over 200 amateur kickboxers each year. With a new remodel, he doubled the size of the IKF/ISCF Headquarters. Announced official launch of Gladiator Gear with fight equipment, energy drinks and supplements. Expanded the IKF North American Amateur Kickboxing tournament to the IKF World Classic so that Amateur fighters from all over the world could attend. With the boom of Mixed Martial Arts, the ISCF became the Largest Sanctioning Body for Mixed Martial Arts in the World sanctioning over 300 Pro and Amateur events during 2006 alone. Promoted the first ever Amateur Golden Gloves of Mixed Martial Arts. An OPEN Tournament much like the IKF Kickboxing Tournaments called the ISCF MMA World Classic, to determine true Amateur MMA World Champions. The event was held at the US Cellular Center in Cedar Rapids, Iowa, USA in April of 2007. MMA continues to grow as the ISCF sanctions over 400 Pro and Amateur events during 2007. While MMA grows in North America, the IKF is successful in rebuilding IKF Europe with the work of the new IKF Team Europe which includes Neil Holden, Colin Payne, Carl Sams, Duncan Airlie James, Keith Nathan, Tricia McKeary, Dawn Willock, Steve Logan and Peter Foley. Expanded his IAA Awards Company by changing the name to "International Fight Belts" - www.FightBelts.com and adding in new products. Showing great success with IKF Point Kickboxing he promotes Johnny Davis to IKF - PKB President and creates the new www.IKFPKB.com web site. The IBL was meant to be an Amateur Mixed Martial Arts TEAM League. However Team event scheduling would become the leagues downfall. With high demand to do so, the IBL, International Battle League announces it will form a Pro MMA Fight League to work in association with the IBL Amateur Fight League. Official launch date Fall, 2008. IKF host it's "10th Annual IKF World Classic Tournament in Orlando Florida, USA marking an incredible 10 years of the Longest Running AMATEUR ONLY Open Kickboxing & Muay Thai Tournament in the World. "Capture The Spirit" Sanctioning USA Muay Thai. "Amateur Mixed Martial Arts" Sanctioning USA Amateur Mixed Martial Arts towards the Olympic movement. "Amateur Mixed Martial Arts" Sanctioning Amateur Mixed Martial Arts around the World towards the Olympic movement. IKF host it's "11th Annual IKF World Classic Tournament in Orlando Florida, USA marking an incredible 11 years of the Longest Running AMATEUR ONLY Open Kickboxing & Muay Thai Tournament in the World. This years event set records in total number of registered fighters (280) along with "8" New Pre Event Registration Records! Due to demand, Fossum and others created a new Sanctioning body for both Pro and Amateur boxing. Both Organizations are in development with an official launch planned for Spring 2010. Although the IAB has already sanctioned some events in 2010, the "Official" launch of both the Amateur and Pro divisions of the IAB are not due to begin until February 2011. IKF host it's "12th Annual IKF World Classic Tournament in Orlando Florida, USA marking an incredible 12 years of the Longest Running AMATEUR ONLY Open Kickboxing & Muay Thai Tournament in the World. Total number of registered fighters, 320. Old record was 280 from 2009. Final number of fighters who actually "FOUGHT" in the Tournament, 270. Old record was 240 from 2005. Number of bouts fought 210. Old record was 181 from 2008. Number of Adult men who actually fought, 163. Old record was 146 from 2008. 186 were actually registered. IKF President Steve Fossum partners with medical experts in the world of Fight Sports to create the very first article that details "Second Impact Syndrome" within the sport of Kickboxing. The article featured everything from how such injuries occur, how to notice them and potential results. IKF host it's "13th Annual IKF World Classic Tournament in Orlando Florida, USA marking an incredible 13 years of the Longest Running AMATEUR ONLY Open Kickboxing & Muay Thai Tournament in the World. Junior Boys International Rule Fighters, 35. Old record was 30 from 2010. Adult Women Fighters, 42. Old record was 41 from 2009. Adult Women's International Rule Fighters, 16. Old record was 15 from 2010. Number of Adult Women's Title Bouts, tied for top spot at 11 with 2009 & 2005. The event registered 185 fighters. At the event a total of 89 bouts were fought for and 30 Title bouts. After the event, it was thought that the name "West Coast Classic" made the event sound like just a regional event, yet it was open to the World. For 2012 there are plans to re-name it to something like the "IKF Internationals". 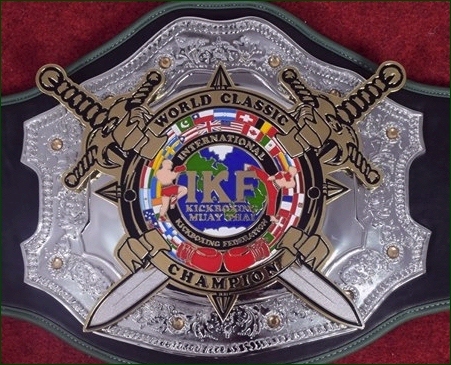 However, the IKF want's to be careful not to make this event sound or appear larger or more prestigious than the IKF WORLD CLASSIC. IKF host it's "14th Annual IKF World Classic Tournament in Orlando Florida, USA marking an incredible 14 years of the Longest Running AMATEUR ONLY Open Kickboxing & Muay Thai Tournament in the World. Total number of Junior Fighters. 103, the Old Record was 95 set in 2005. Total number of Junior BOY Fighters. 74, the Old Record was 64 set in 2004. Total number of Junior BOY "INTERNATIONAL RULES" FIGHTERS: 48, the old Record was 35 set in 2011. Total number of Junior BOY "MUAY THAI RULES" FIGHTERS: 14, the oOld Record was 12 set in 2009. IKF host it's "15th Annual IKF World Classic Tournament in Orlando Florida, USA marking an incredible 15 years of the Longest Running AMATEUR ONLY Open Kickboxing & Muay Thai Tournament in the World. NEW RECORD: TOTAL REGISTERED FIGHTERS 358, The Old Record was 320 set in 2010. NEW RECORD: TOTAL REGISTERED JUNIOR FIGHTERS 146. The Old Record was 113 set in 2012. NEW RECORD: JUNIOR BOY FIGHTERS 110, The Old Record was 85 set in 2012. NEW RECORD: JUNIOR GIRL FIGHTERS 36, The Old Record was 32 set in 2005. NEW RECORD: JUNIOR BOY "INTERNATIONAL RULES" FIGHTERS 67, The Old Record was 47 set in 2012..
NEW RECORD: JUNIOR BOY "MUAY THAI RULES" FIGHTERS 42, The Old Record was 14 set in 2012. NEW RECORD: JUNIOR GIRL "MUAY THAI RULES" FIGHTERS 15, The Old Record was 5 set in 2008. NEW RECORD: ADULT MEN REGISTERED FIGHTERS 176, The Old Record was 161 set in 2010. NEW RECORD: ADULT MEN "INTERNATIONAL RULES" FIGHTERS 80, The Old Record was 57 set in 2012. NEW RECORD: ADULT WOMEN "INTERNATIONAL RULES" FIGHTERS 20, The Old Record was 16 set in 2011. TIED RECORD: JUNIOR GIRL "INTERNATIONAL RULES" FIGHTERS 21, The Old Record was 21 set in 2005. Amateur Kickboxing, Muay Thai and San Shou (Ages 8 and Up) in the State of California. For IKF California, Click HERE. This event marked an incredible 16 years of the Longest Running AMATEUR ONLY Open Kickboxing & Muay Thai Tournament in the World. the IKF grew the sport from 11 legal Amateur Kickboxing and Muay Thai events in the state to 40. Along with the growth the IKF brought organization, credibility and structure to a sport that was disorganized in every way. Past IKF Events in CA - Click Here. This event marked an incredible 17 years of the Longest Running AMATEUR ONLY Open Kickboxing & Muay Thai Tournament in the World. continued to bring organization, credibility and structure to a sport that was disorganized in every way. Past IKF Events in CA - Click Here. the IKF begin the process of mandating safer and stronger equipment for fighters with Blackout Fight Gear becoming the Official Fight Gear for IKF California. This event broke several records such as number of registered fighters (404), Number of registered adult Women Fighters (62), marked an incredible 18 years of the Longest Running AMATEUR ONLY and "MIXED RULE STYLE" Kickboxing & Muay Thai Tournament in the **World. (**) Other larger tournaments such as the IFMA (For Muay Thai) and the WAKO Tournaments allow Pros to compete with Amateurs under Amateur Rules. The IKF World classic continues to improve every year. More organized, more and more spectators and as always, more and more records broken. Once again, this years event continued to add to an incredible 19 years of the Longest Running AMATEUR ONLY and "MIXED RULE STYLE" Kickboxing & Muay Thai Tournament in the **World. 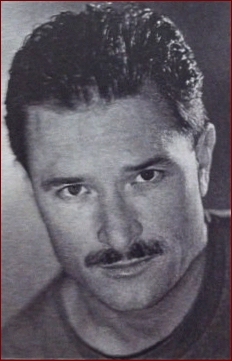 Actor and stuntman in martial arts programs. Fight chorographer for martial arts scenes. Set director for TV programs and live presentations. Experienced as a Bouncer, Bodyguard and Bail Enforcement Officer. Law Enforcement and security personal trainer in empty hand combat. Motivational and self esteem speaker to schools, businesses, clubs and organizations. Seminar instructor for topics such as self defense, Fight Sports (Officials, Promoting, Training, Fighting) to motivation training.